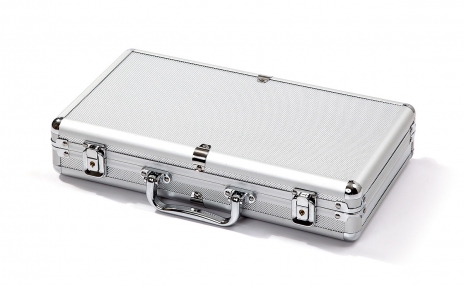 This new silver aluminum case is made of high grade aluminum materials. It has been redesigned for a stronger reinforced frame structure. It is also built with heavy duty hinges, unlike most aluminum chip cases that are made of cheaper quality hinges that can break off easily. This durable case also has 2 built-in locks with 2 keys for security. The interior is made of fine quality black velvet material and insulated with a sponge lining for better protection of the chips. 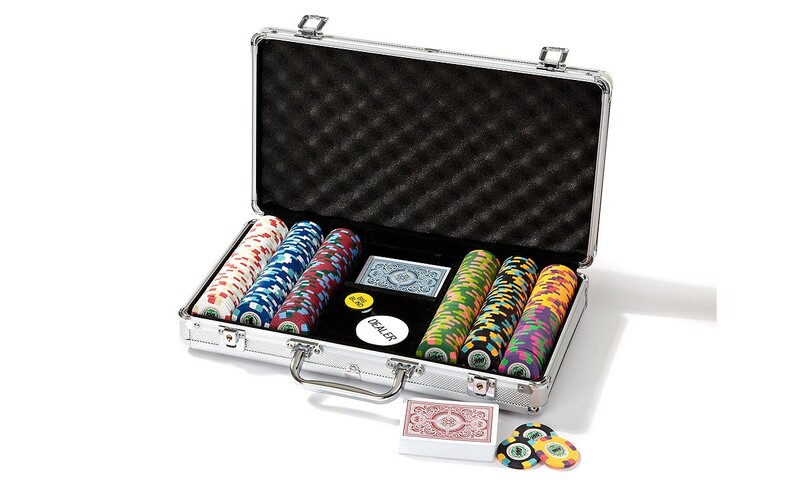 The case has 6 slot dividers that can hold 50 chips per slot, for a total of 300 chips. There is also a space for 2 decks of standard size playing cards and 5 dice. Built-in ribbons allow for easy removal of the playing cards and dice.